VATICAN CITY (CNS) — At the Synod of Bishops, which opens Oct. 7 with a papal Mass in St. Peter’s Square, some 250 prelates from around the world will meet for three weeks to talk and pray about the new evangelization. Long after the bishops have expressed their diverse views, Pope Benedict XVI will have the last word in an authoritative document of reflections called a post-synodal apostolic exhortation. 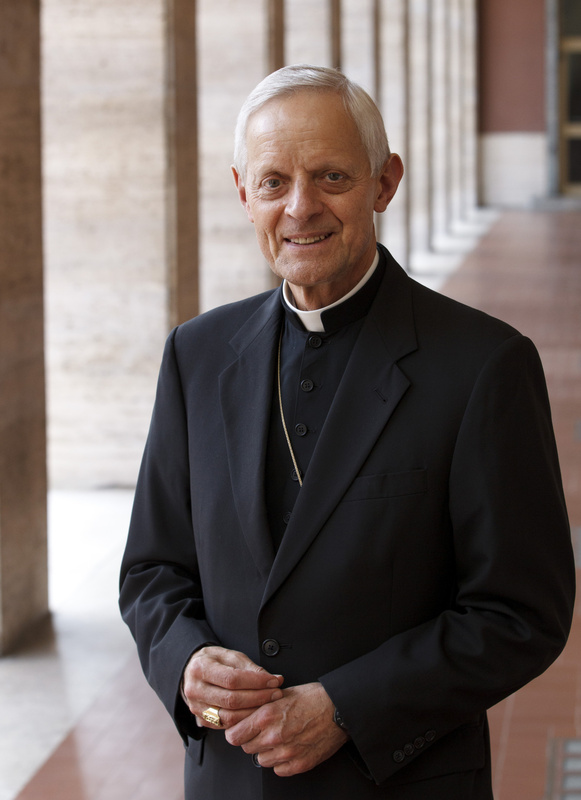 In the meantime, none of the participants has a better overview of the Vatican gathering, or of the questions it will examine, than Cardinal Donald W. Wuerl of Washington. As the synod’s relator, Cardinal Wuerl has reviewed preliminary suggestions from bishops’ conferences around the world and synthesized them in a speech he will deliver in Latin at the first working session Oct. 8. The cardinal will address the assembly again 10 days later, once more in Latin, to summarize hundreds of speeches by his fellow bishops. Initiated by Blessed John Paul II and eagerly embraced by his successor, the new evangelization is a project aimed at reviving Catholic faith in increasingly secular societies, especially the wealthiest Western nations. It’s no mere coincidence, the cardinal said, that the synod overlaps with the 50th anniversary of the opening of the council, Oct. 11, which Pope Benedict has designated as the beginning of a special Year of Faith. Like Vatican II, the cardinal said, the synod will emphasize continuity with the church’s ancient traditions. Although Vatican II was faithful to the church’s traditional doctrines, the cardinal said, implementation of the council’s teachings in the 1960s and 1970s coincided with a “current of secularism sweeping the Western world,” especially Europe. “It’s almost as if a tsunami of secularism washed across Western Europe and, when it receded, it took with it all of those foundational concepts: family, marriage, right and wrong, common good, objective order,” he said. In Europe and beyond, the cardinal said, that secular wave accompanied a loosening of standards in Catholic religious education. “Somehow we were to be catechizing without content,” the cardinal said, describing what he called a widespread attitude at the time. “Somehow there was supposed to be communicated some experience, some idea that God loves us, we love God, but it wasn’t rooted in the creed. The cost of poor catechesis, Cardinal Wuerl said, was a “diminished allegiance from two generations” of Catholics. A key part of the church’s response to that development was the Catechism of the Catholic Church, whose compilation was overseen by then-Cardinal Joseph Ratzinger when the future pope was prefect of the Congregation for the Doctrine of the Faith. In another non-coincidence, the 20th anniversary of the catechism’s publication will also be celebrated Oct. 11. The cardinal said the catechism has been the basis for dramatic improvement in religious education over the last two decades, especially in the United States. When he and other U.S. bishops met with Pope Benedict earlier this year during their “ad limina” visits, Cardinal Wuerl said he was happy to report the sound state of Catholic education at the elementary and secondary school levels. The church in America has a “long way to go” to bring Catholic higher education back into harmony with church teaching, the cardinal said, and an essential part of that effort is restoring the “institutional identity” of Catholic colleges and universities. Despite the setbacks of earlier decades, he said he draws hope from the growing interest among youth in the teachings of the church.